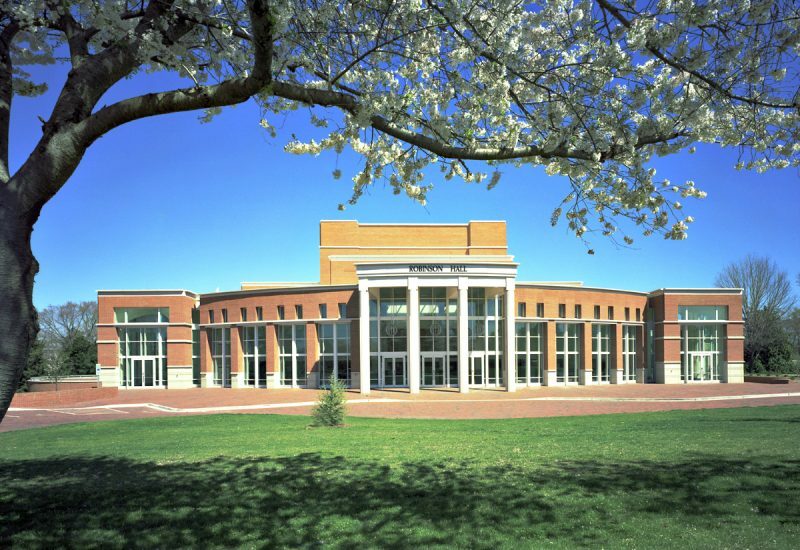 UNC Charlotte’s Robinson Hall features a Performing Arts Center and houses the Music, Theatre and Dance Departments. 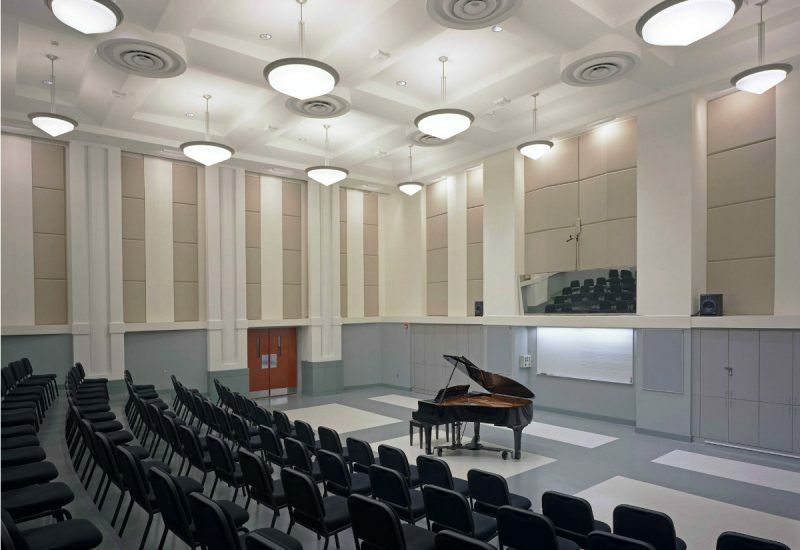 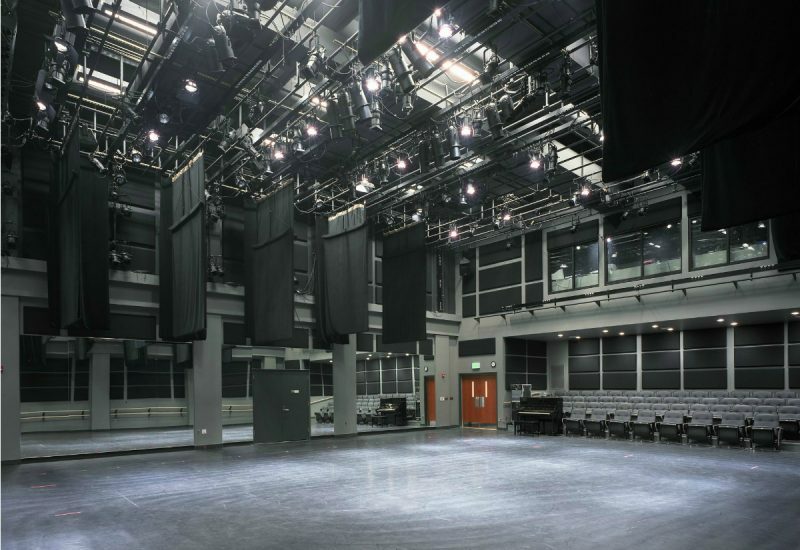 Along with the primary performing arts spaces, Robinson Hall has a full complement of rehearsal spaces, faculty offices and classrooms. 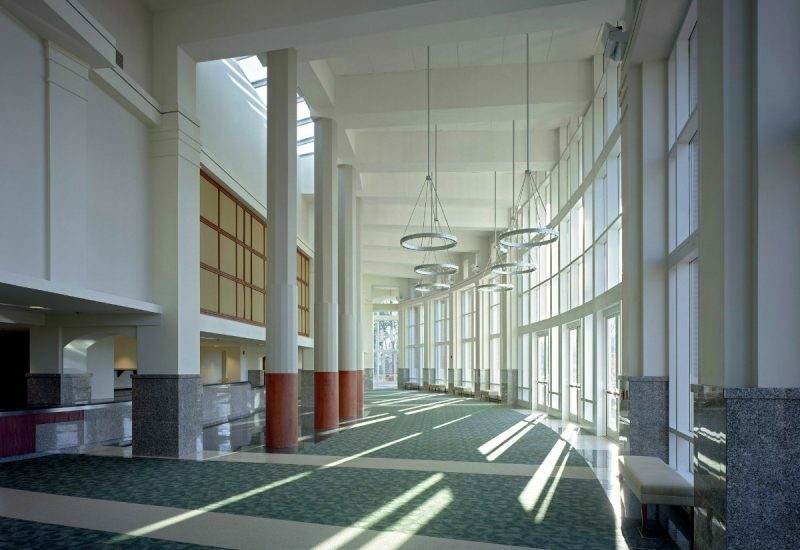 The 118,000-sf facility is prominently sited on axis with the main campus entrance. 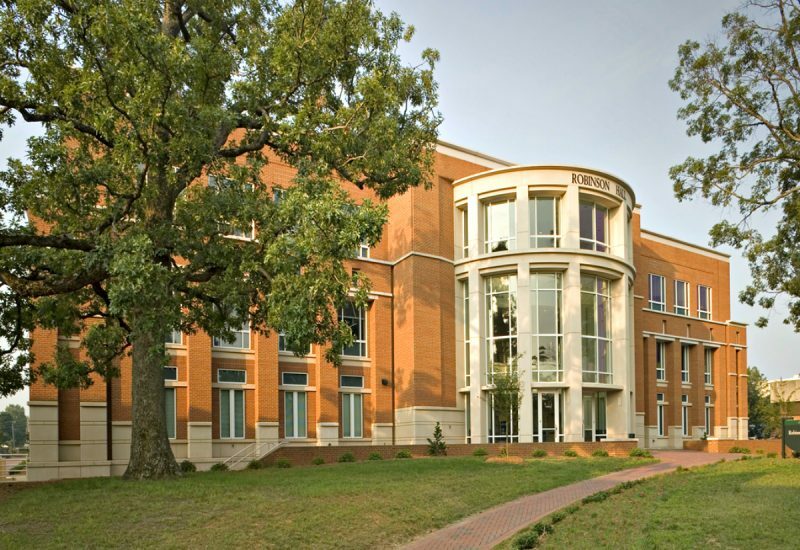 The facility offers two main entrances: one for the public, which faces the University entrance drive, and one that is internally oriented toward the campus. 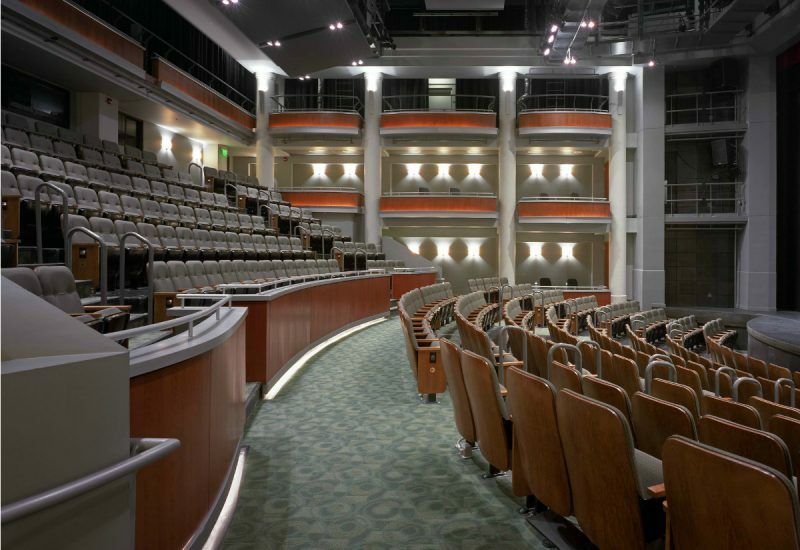 The public enters a large ceremonial lobby with a curved wall of glass and masonry columns, which unifies the entryways to the large theatre, the experimental theatre, and the choral recital hall.